Bob Dylan - "blowin' in the wind"
Types keyboard keys while you're away. Once uppon a time in June/July 2002 a colleague of mine wanted to fake being active in a chatroom, without actually sitting in front of the PC. 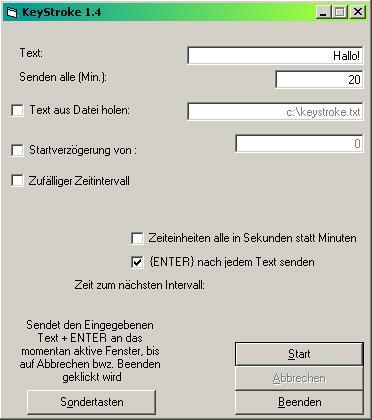 This program written in Visual Basic solved his problems: It simulates keystrokes on the keyboard.